There is plenty to love about Brown & Green Floral, in particular their beautiful arrangements and the classes where they teach you to do the same, but what we love is that they focus on providing products from local growers! We’re so happy to be carried in their store and proud to call them a partner. Take a minute to explore their store and website at www.bgfloral.net! Lyn takes the charge in making the shop what it is. She’s owned Brown & Greene for more than 14 years and strives to make it your go-to florist by providing fabulous flowers, interesting plants and pots, awesome gift items, gut-busting cards, and great customer service. When she manages to escape the shop, Lyn’s probably enjoying a crafty cocktail or taking her four furry friends for a walk. I am pretty picky about what comes into the shop. I have to see it, touch it, and of course in the case of Mixture, smell it. Every fragrance is personally inhaled by me, before we carry it in our store. We’re proud to have carried Mixture, probably since their very first year! What do your customers think about Mixture®? We’ve heard people say how surprising it is that the scent truly matches the description of each fragrance. People remark on how great they smell, and are good traveling gifts, easy to pack or ship. 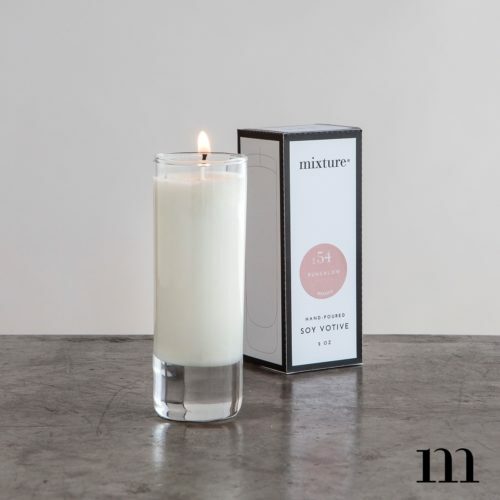 Another big hit is the actual design of the candle. The clean design and size make for a really great gift. 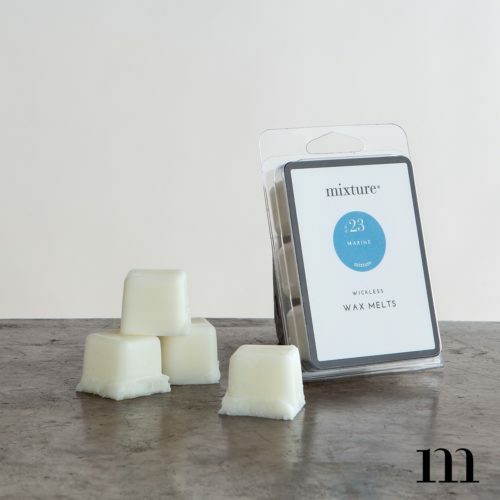 We sell loads of Mixture candles beautifully wrapped with an artful matchbook as hostess gifts. The price point makes for an easy affordable little gift. We’ve even had special pours in our own containers become a big hit with our customers.